Established in 1991, Diamond Safety Concepts, (DSC), is one of the leading online retailers of product made from recycled materials such as rubber or plastic. DSC offers a wide range of product for both indoor and outdoor applications. Product categories include; Rubber Decking Materials, Rubber Playground Surfacing, Athletic Flooring, Rubber Equine Flooring and Resilient Trade Show Flooring. Related product and service categories include Anti-Slip Rubber Step Covers and Floor Safety Solutions to help improve traction and reduce the risk of slips and falls. 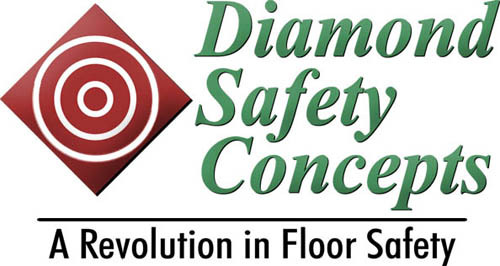 Diamond Safety Concepts represents nearly fifty manufacturers. These manufacturers' products are cataloged on the DSC web site along with an abundance of technical information relating to each product or service. For more information, please contact DSC at 800-842-2914 or visit their web site.